I’m a terribly honest person. I’ve been called mean and insensitive too many times to count. I don’t mean to be but that’s how I roll. It’s my grandmothers fault. Really. What does this mean for you, my readers? It means that I will never promote a product I don’t believe in. Even if it arrives in a pretty box with a $100 bill taped to it. I’ll always disclose my relationship with my sponsor (or lack of) and I will always clearly mark when a post is sponsored. Reviews will always give you my honest opinion in my own words. 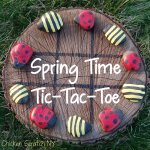 Chicken Scratch NY participates in several affiliate programs. CSNY will receive a small commission from purchases made through affiliate links. It doesn’t add anything to your cost and it’s a great way to support this blog. If you’re interested in doing a giveaway to promote your site/etsy store/blog please contact me! I would love to work with you if I feel your product is a good fit for my blog. Likewise, I am interested in doing product reviews. I love finding new things to share with my readers. 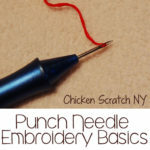 If you have something you would like featured on Chicken Scratch NY I would love to hear about it! All reviews will be honest and in my own words. I only use no-follow links for sponsored content. I will not be able to return reviews items. In the case of a review/giveaway combo the winner must receive a new item, not the one reviewed!